Lynden Transport looked like it was carrying a giant white goose recently as it transported a 22-foot by 8-foot helicopter fuselage and spare parts from Anchorage to Tacoma. The shrink-wrapped fuselage required a 53-foot stepdeck trailer and permits as well as a crane to lift it on and off the trailer. No straps were allowed over the cargo and Lynden's driver had to do some careful backing to position the trailer under the big load while it was hoisted at the pickup location. The final destination is Australia. 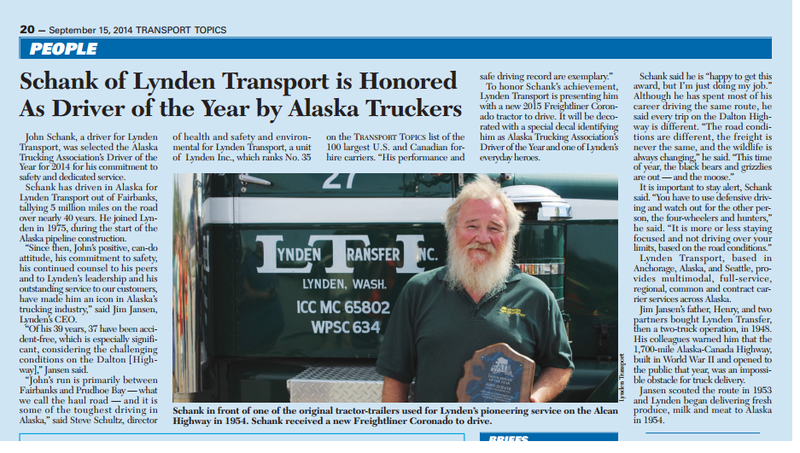 The Lynden companies are looking for a few good men and women to follow in the footsteps of the Lynden Legends, the courageous group of drivers who pioneered service on the Alcan in the 1950s and the hundreds of Lynden drivers who have continued the tradition by driving trucks safely and efficiently through the years. To find them, Lynden launched a driver recruitment campaign last year, headed by Marketing Project Manager Dorene Kolb and Vice President of Employee Relations and Business Development Gail Knapp with the help of an employee committee representing Alaska West Express, Lynden Transport, Alaska Marine Trucking, Brown Line, LTI, Inc. and Milky Way. “At Brown Line, we have a significant number of drivers retiring or preparing for retirement, so we are taking a proactive position to find the best drivers to replace them. 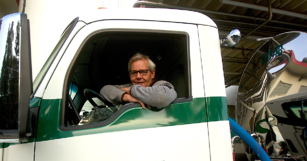 Driver retirements are not only impacting Lynden, but the nation as a whole. Trucks move the goods that keep the country running. It is an extremely important profession and industry,” explains Al Hartgraves, National Accounts Manager for Brown Line. To attract the best and brightest, Lynden developed a brochure and website to spread the word and committee members have attended job fairs at Joint Base Lewis-McChord AFB in Tacoma and other employment events as well as recruiting from trucking schools. Interviews with summer interns and the drivers themselves have yielded interesting feedback. In addition to good pay and benefits, drivers are also interested in a stable company and upward mobility. Jered Post, Vice President of Operations for Lynden Transport, took advantage of those advancement opportunities 10 years ago. 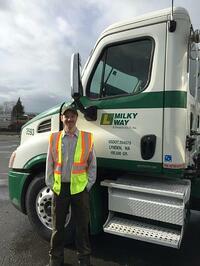 After starting as a Milky Way Driver in 2005 in Jerome, ID he worked his way up to manag ing Lynden Transport locations in Fairbanks and Anchorage. He later became Director of Operations and was then promoted to Vice President with the company in Seattle. 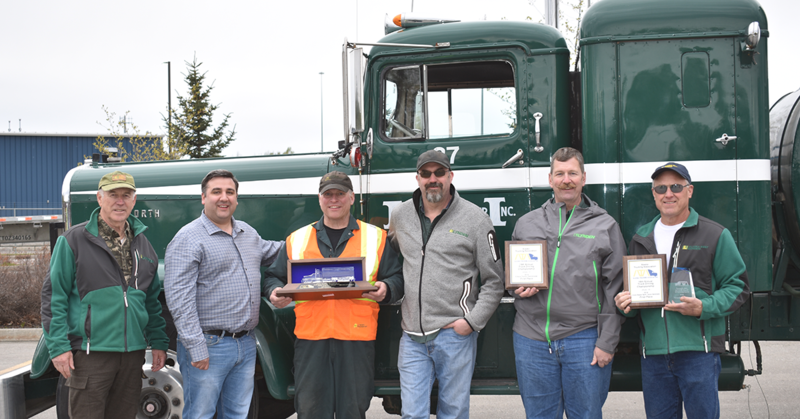 Many Lynden executives started their careers driving, including former Lynden Transport President Jim Beck and Chairman Jim Jansen. 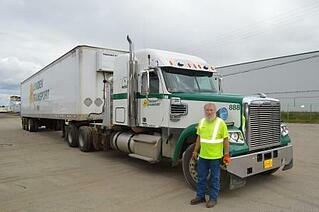 The recruitment committee is asking Lynden employees to help refer qualified driver candidates. 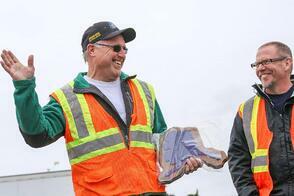 “Every job at Lynden is affected by trucking,” Al says. “Everyone plays a part in attracting good people to keep the companies healthy and the freight moving.” Go to www.lynden.com/drive for a brochure or a driver interest form. Over the last three years, Brown Line has implemented a number of changes resulting in a radical improvement in fuel economy. The company recently added 18 new tractor-trailer combinations that are achieving over 7 mpg on average. 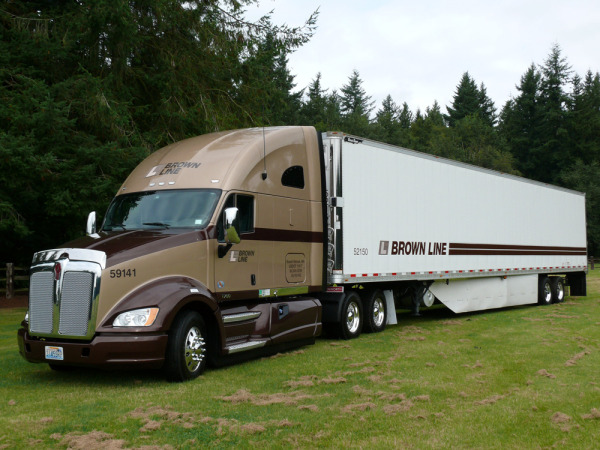 “With the new equipment fuel economy increased by 23 percent, trailer cubic foot capacity by 16 percent, and improved payload capacity by 6 percent,” says Brown Line President Jason Jansen. As a fleet, Brown Line's average fuel economy has improved from 5.4 mpg in 2008 to 5.84 mpg in 2011. All new tractors have roof farings and new trailers have side skirts to improve aerodynamics. The side skirts are estimated to save about 5 percent in fuel economy. Brown Line now has 30 new 53-foot trailers with side skirts that have replaced the older 48-foot trailers, and will be exploring retrofit options for the older equipment. 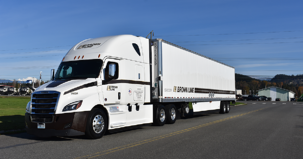 The new 53-foot trailers are 1,900 pounds lighter than the older 48-foot trailers they replaced and compliant with California Air Resources Board (CARB) rules for reefers units. All new trucks and trailers use wide-base, low-rolling resistant single tires and have an automatic system to keep tires properly inflated for optimum fuel economy and to reduce tire wear.